Manugistics Group Inc. and IBM Corp. have entered into an alliance to market supply-chain management software, hardware and services. Manugistics, based in Rockville, Md., is a provider of demand- and supply-chain software, and the partnership, announced Wednesday, will give the company and its customers access to IBM’s technology and services expertise, according to Manugistics officials. The partnership with IBM will give Manugistics products more exposure to potential customers through IBM, said Andy Hogenson, executive vice-president at Manugistics. “It means broader access to the (IBM sales) channel,” he added, speaking at a company conference Thursday. 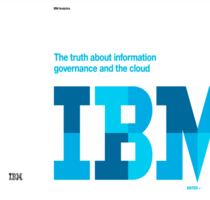 The alliance with IBM expands an existing relationship between the two companies. Manugistics formerly worked with the IBM services organization, but under the new agreement, IBM will promote Manugistics’ supply-chain products worldwide across all industries, with an emphasis on the retail, consumer packaged goods, government and technology markets.The companies will work together to develop and sell supply-chain products. The relationship with IBM will allow Manugistics customers take advantage of such IBM services as hosting, on-demand computing and outsourcing support, Hogenson said. Manugistics also announced Thursday that The Scotts Co., which sells lawn and garden care products, has selected Manugistics Management products and Manugistics Promotions Planning and Optimization products to help replenish product supply at retail stores. Scotts will use the Logistics Management products to optimize its transportation operations and help automate the process for logistics invoicing and payment, according to Manugistics officials. Scotts will also use the Promotions Planning and Optimization products in a pilot product designed to improve the accuracy of sales forecasts and reduce inventory costs by incorporating the effects of promotions on plans for customer demand. Scotts has worked with Manugistics on inventory management since 2001, when Scotts put Manugistics and competitors through a “rigorous” evaluation process, said Sumantra Sengupta, senior vice-president at Scotts. The promotions pilot program should help his company get a better handle on predicting product demand during a promotion, he said. “At the end of the day, this is a win-win for everybody,” he told the audience at a Manugistics strategy summit Thursday.